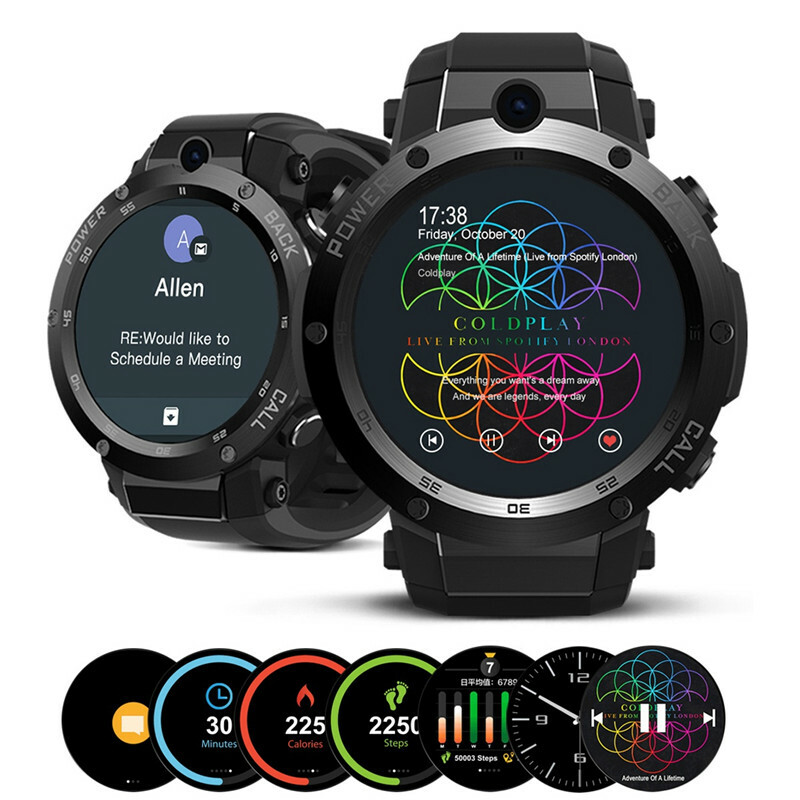 The age of featureless and clumsy-looking smartwatches is passing away, thanks to advanced wearables supercharged with feature-rich capabilities like Zeblaze THOR. This gear doubles as a watch, fitness tracker, GPS navigation and smartphone – and that’s hardly everything it can do. Advanced features require powerful processor and an adequate amount of memory and in this respect Zeblaze THOR will not let anyone down. Quad-core MTK6580M processor clocked at 1 GHz is a CPU that we can find in cheaper smartphones, and 1 GB RAM allows you to work smoothly with various apps. There is no slot for a memory card, but it won’t be that needed, because the designers gave access to 16 GB internal memory available to users. This allows you to store thousands of photos or MP3 songs or a dozen or so movies to watch. Excellent circular 1.4 inch AMOLED screen is readable, works smoothly and displays in 400 x 400 px resolution, which gives it a good result 326 ppi. Importantly, it is protected by Gorilla Glass 3, which minimizes the possibility of scratching or cracking the screen. Internet access is available through a WiFi network or cellular 3G connection via a Nano SIM card. User interface is translated into dozen languages, including English. Lots of different dials to choose from allows you to define your own look and style as well as the device’s desktop. Additional dials can be downloaded from the Zeblaze site and we’re sure there will be even more of them in the future, so you can get suitable style for every occasion! Its two-color, silicone strap is maintained in a sporty look and is comfortable to wear it daily. The casing is made of stainless steel and is CNC machine polished. Black, matte color will suit both casual and formal attire. The is not a waterproof watch, it’s only referred to as “Life Waterproof”, which means that accidental splashes will not hurt it, but you can’t immerse it in water or take a shower with Zeblaze THOR on your wrist. This smartwatch has over 20 applications installed by default and optimized for use on a small screen. Among available apps are calendar, Google maps (using built-in GPS for precise navigation), weather forecast, search engine, multimedia player and many more. Not enough? No problem. Android 5.1 allows you to install other apps from Google Store, so the capabilities of this gear are virtually unlimited. You think that’s all it can do? Absolutely not. Zeblaze THOR even has a 2.0MP camera, discreetly located on the side of the case and a microphone, so you can record movies and take photos or use it as a voice recorder. Heart rate chipset is made by Samsung (accuracy 3 to 5 bpm, depending on the mode of operation) and it will be useful during gym sessions or cardio training. To make a phonecall using this smartwatch, connect headphones with a microphone, insert a Nano SIM card and that’s it. However, it’s worth remembering that phonecalls drain the 350 mAh battery pretty quickly. The battery should work for a maximum of 2 days on one charge, and if you use it intensively, it might run out of juice in a few hours, so in this case we suggest a powerbank as an energy backup. Zeblaze THOR is not your ordinary smartwatch, but rather a Swiss army knife with endless capabilities. 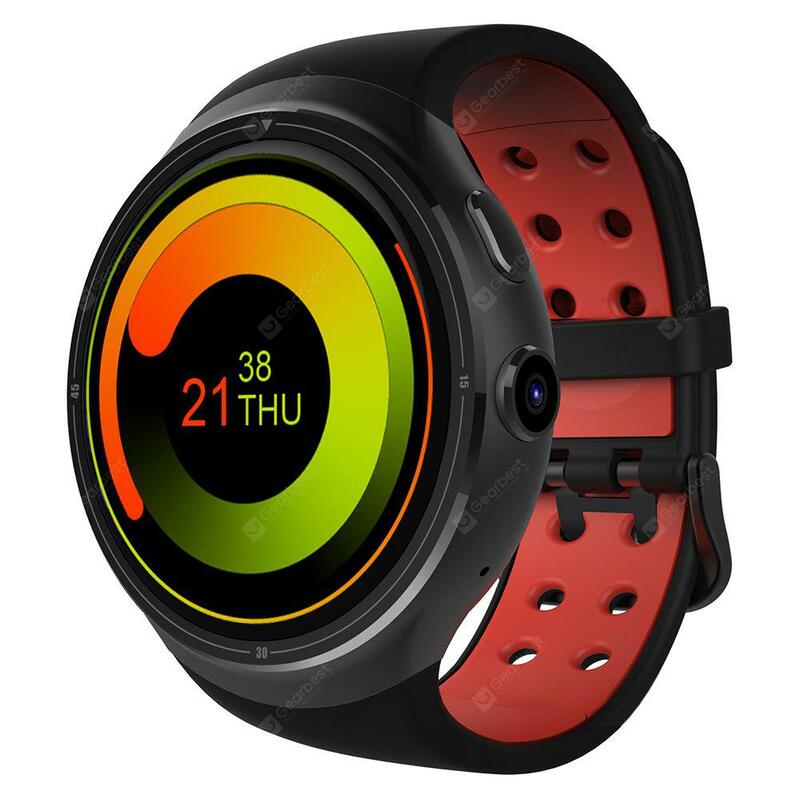 It can serve as an organizer, navigation device, fitness smartband, and even a web browser, MP3 player, voice recorder and of course, a telephone. Its disadvantage is limited battery capacity, but until there is a significant development of cell technology, you can’t expect much more from any smartwatch. And if you compare the price to much more expensive Apple Watch (which has inferior capabilities compared to Zeblaze THOR by the way), you will clearly see, that it’s really good deal.